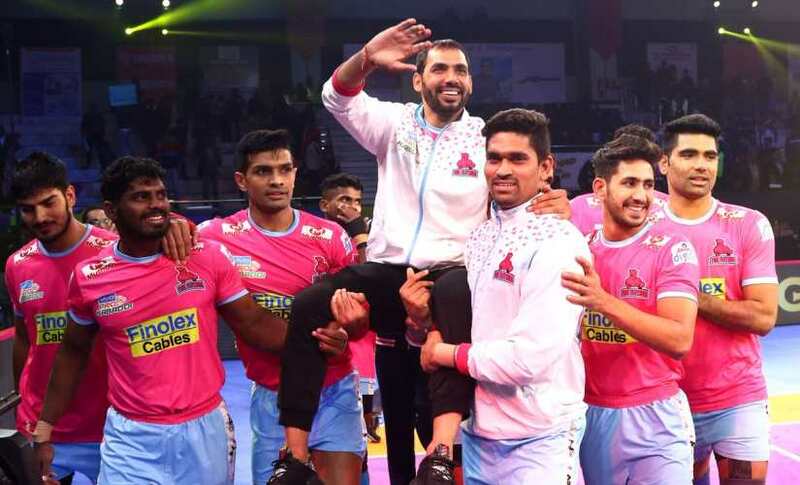 Over the last few seasons, the overbearing image of Anup Kumar has been that of him strutting at the mid-line, searching for any obvious chinks in the opposition defence while keeping an eye on his own team, telling them to get themselves organized for the next raid. 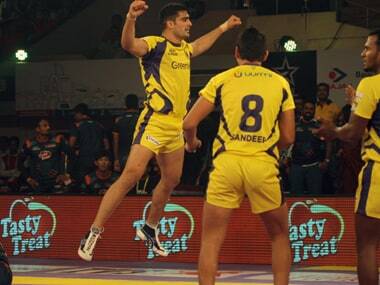 It’s been a while now since his most-talked about move, the toe touch, was executed with perfection on the kabaddi mat. It’s been a while since Anup Kumar was the lead musician of his band, but he has always been the astute orchestrator. That’s what Anup will be most remembered for as he called time on his 15-year-career on Wednesday. He was at the forefront when kabaddi marched into the bold, big era of the Pro Kabaddi League in 2014. And was the best possible bridge between the players, owners, coaches, media and fans that the League and Indian kabaddi would have ever hoped for: a perfect blend of charisma and humility. On Wednesday, he sat on the sidelines, at times lost in memories and reflection, at others enjoying the attention and affection showered upon him. The first bonafide superstar of kabaddi, he is possibly also the first in his sport to get such a heartfelt farewell. The glitzy neon-lit, music-pumped setting of his retirement is far removed from the dusty fields where he first played the game, and where his son still plays kabaddi. During an interview at the 2016 World Cup in Ahmedabad, Anup recalls the first pull towards competitive kabaddi came when he would see kids from nearby villages win matches and bring back an assortment of items: towels, plates, vessels. A naughty kid who used to spend his afternoons chasing rabbits or stealing bulbs from cars, Anup was still diligent with helping out his mother – his father passed away when he was very young — with housework. Kabaddi was a hobby, one which was seen as a dead-end by his near and dear ones. But the game is prevalent in that heartland around Gurugram, Haryana. After a brief flirtation with athletics — one which ended with Anup being thrown out of the sports hostel with his coach —he returned to kabaddi in 2001. No one saw him coming at the 2004 Senior Nationals in Kurukshetra because Anup had skipped the ‘juniors’ circuit. But the lanky youngsters’ talent was unmistakable and he was drafted into the Indian side for the 2005 Aspire Challenge trophy in Doha, Qatar, which was a precursor to the Doha Asian Games in 2006. His first big tournament was the 2006 South Asian Games in Sri Lanka. Anup was one of the leading Indian players when the team won the Asian Games gold medals in 2010 and in 2014. In 2016, he was handed over captaincy for the Kabaddi World Cup and India opened with a shocking defeat to South Korea. “I think I fell short as a captain in the game against Korea,” Anup said the morning after. “I made two big mistakes. As a captain, as a senior player I should not have made those mistakes,” he says before pin-pointing the errors. “But no one in the team tells me when I have made one. You have to admit to your mistakes. If I make a mistake and as a captain, don’t take responsibility, it is not right. But if the other players see me own up to it, they will learn to be more open about it and work on fixing the problems.” India did go on to win the World Cup eventually, their third in a row, Anup’s first and that as a debutant and captain. But his honest analysis of the Korea game was a lesson in humility, a trait he is keen to pass on to the next generation. It is this fundamental quality, respect for the other person, that has gone a long way in helping him cope with his new-found popularity and fame post-PKL. On the mat he was no different: head down, voice respectful, always an encouraging smile on the face. As U Mumba’s leader and the MVP of the inaugural PKL season, Anup was the first to win widespread accolades and sobriquets like ‘Captain Cool’ and ‘Bonus ka Badshah’. 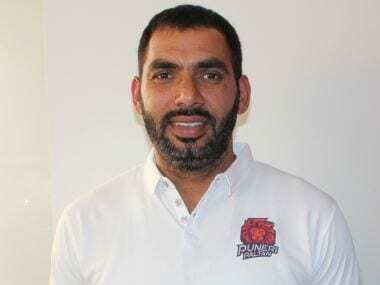 He led the most precocious group of players in U Mumba with a cool head, guiding them to three successive finals and a championship win in the second season in 2015. But with age catching up, Anup had cut down his raiding duties and focused more on man management. Widely regarded as the smartest kabaddi brain in the country, he probably knew better than most when to call time on his career. “There’s no special reason (for retiring),” he said on Wednesday. “But every player has to face this situation. I just thought that I should stop playing the game. Some of our youngsters are playing really well and it’s their time now.” In the hope that he has taught them well.